We make it a policy to ensure that all staff members are up-to-date on the latest technology and techniques to make your visit as comfortable and effective as possible. 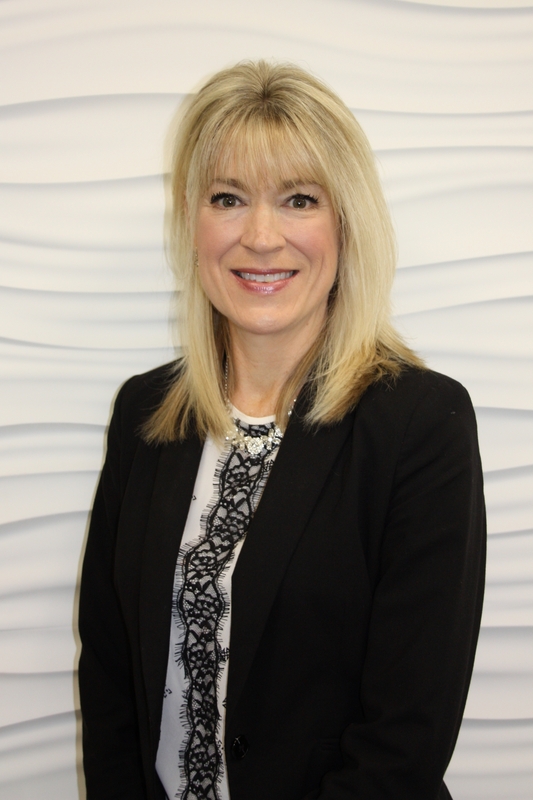 Dr. Lennox completed her Bachelor of Science in 1991, and continued at the University of Waterloo, obtaining her Doctor of Optometry degree in 1995. Dr. Lennox graduated on the Dean’s Honour List & also received the Canadian Contact Lens Society award for her proficiency in the application of contact lenses. Dr. Lennox completed an externship at Houston Eye Associates where she worked with several retinal & glaucoma specialists. After graduating, Dr. Lennox entered into private practice in Brantford, and then moved to the Cambridge practice in 1998. 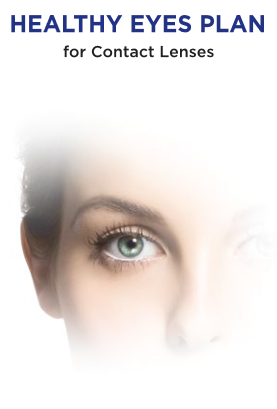 Dr.Lennox is affiliated with the TLC laser eye centres, and has been thoroughly educated in laser eye surgery. She has been a part-time clinical supervisor at the University of Waterloo School of Optometry and is the past chair of the board of directors for Eye Recommend. 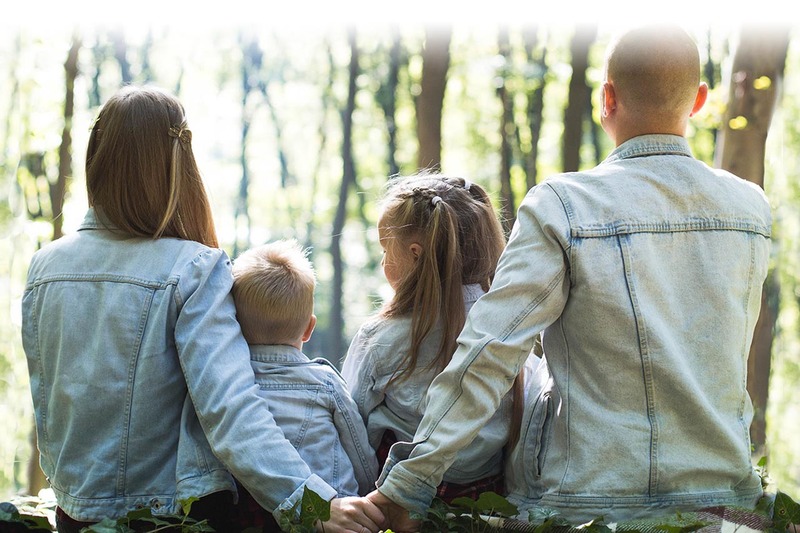 In her spare time, Dr. Lennox enjoys time with her husband Peter, and their two sons. She loves travel, yoga, and being a hockey Mom! Dr. Amanda Brown was raised on a beef farm in the Cambridge area. She attended the University of Waterloo and graduated with Honours with both a Bachelor of Science and Doctor of Optometry degree in 2000. She completed an externship in ocular disease and therapeutics at Vision America in Memphis, Tennessee. This is where she became skilled in treating and managing glaucoma, diabetes, and laser refractive surgery patients. After graduation, Dr. Brown was pleased to be able to stay in the area and join Dr. Lennox at the original Elgin St. location. 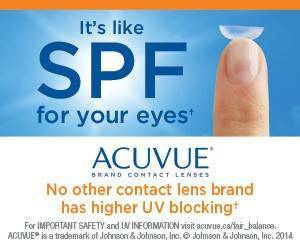 In 2012, she became a partner in what is now known as Cambridge Eye Care. 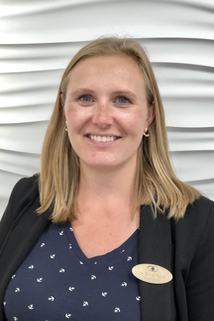 In addition to seeing patients, she enjoys supervising 4th year externs from the University of Waterloo School of Optometry and planning in-office events, like the Annual Ladies Night and UV Groovy Week. 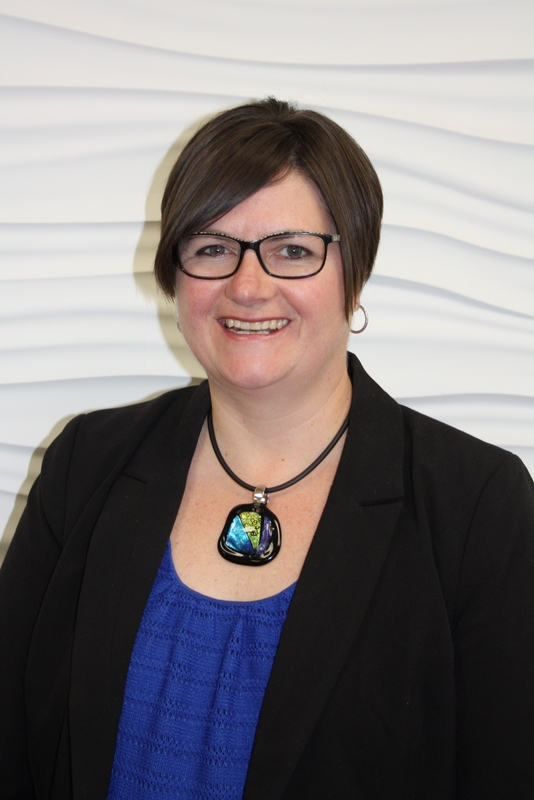 Dr. Brown is also an active member of the Canadian Association of Optometrists, Ontario Association of Optometrists, Eye Recommend, and locally the treasurer for the Waterloo-Wellington and District Optometric Society. She also enjoys working with local ophthalmologists to ensure that there is sustainable vision care in the Cambridge area. Outside of work, you will find Dr. Brown volunteering at the school where her daughter and son attend, at an arena cheering them on, or helping her husband, Steve, on the farm. 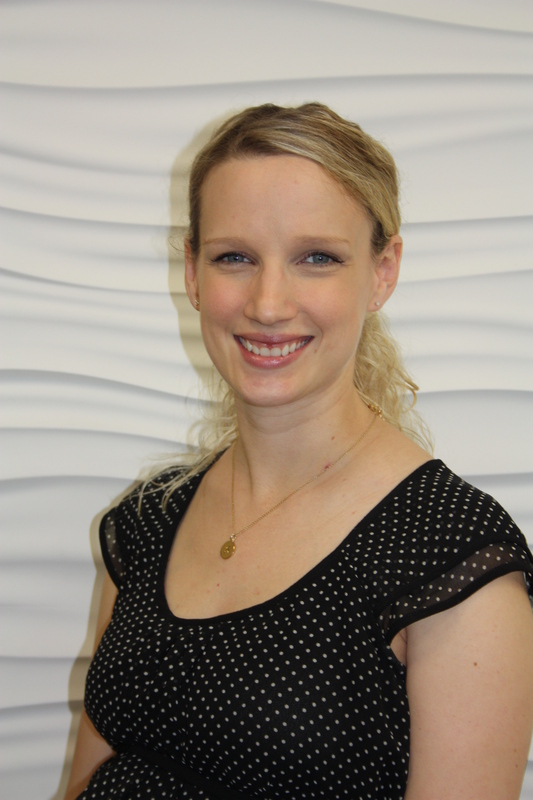 Dr. Sarah Schaffels graduated from the University of Waterloo with her Bachelors of Science and Doctor of Optometry in June 2010. She was named to the Dean’s Honours List each term and received the AW Cole Award for Clinical Excellence at graduation. During her studies, Dr Schaffels completed an externship in ocular disease and therapeutics at The John Kenyon American Eye Institute giving her hands on experience working with 5 ophthalmologist and 2 optometrists with specialties including the cornea, cataracts, refractive surgery, glaucoma and retina. Dr. Kaylee Wood was born and raised in Cambridge, Ontario. She received an Honours Bachelors of Biomedical Science from the University of Waterloo in 2011 and an Honors Doctor of Optometry Degree in 2015. Dr. Wood is very involved with her community. 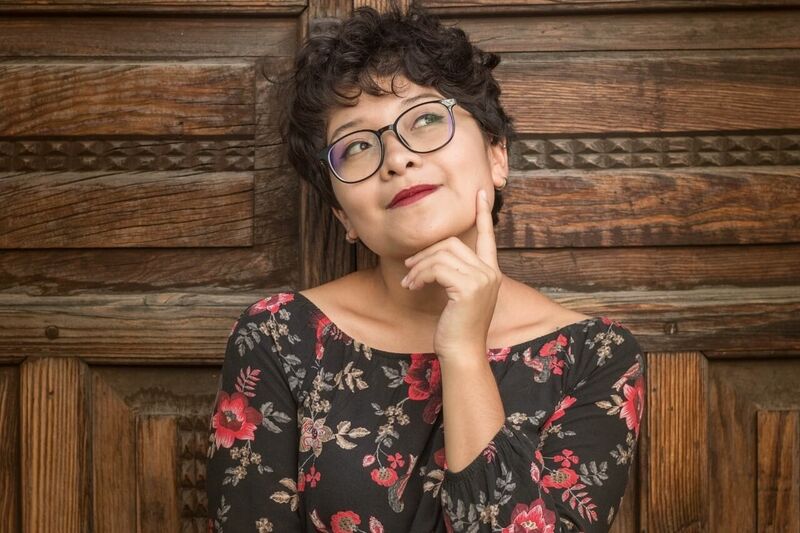 Organizations include Rotary and Rotaract where she served as the President of the Rotaract Club of Waterloo and was a recipient of a Rotary Youth Leadership Award. Dr. Wood was a client volunteer and served as a member of the local public education team for the CNIB. She was also a member of the University of Waterloo Optometry Lions club. Most recently, Dr. Wood held the position of president for the University of Waterloo School of Optometry, Volunteer Optometric Services to Humanity (VOSH). In this role she organized over 100 students and five mission trips to provide eye care to developing countries around the world. Dr. Wood participated in a mission trip to Casma, Peru and as part of her primary care rotation she volunteered at the Foundation for International Self Help in Kingston, Jamaica. Dr. Wood completed an externship in ocular disease and therapeutics at Parkland Hospital in Dallas, Texas. While in Dallas, she managed diabetic retinopathy and glaucoma, provided low vision services, and learned a little Spanish. Dr. Alex Farquhar was born and raised in Midland, Ontario. She received her Honours Bachelor of Biomedical Science from the University of Guelph in 2011 and graduated with a Doctor of Optometry degree from the University of Waterloo in 2017. Dr. Farquhar was actively involved during her time as a student and received the Canadian Association of Optometrists Award of Merit for her contributions as a student leader. She also received the Dr. Karen Tompa Nowy Memorial Award for her commitment to patient care. One of the highlights of her time as a student was travelling to the Dominican Republic to provide eye care to those in need. She is a member of the Ontario Association of Optometrists and has a special interest in ocular disease and contact lenses. 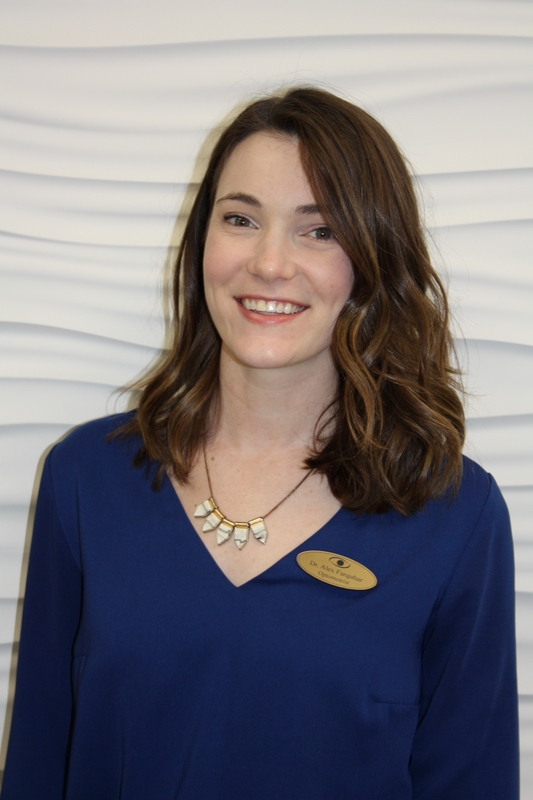 When she is outside of the clinic, Dr. Farquhar can be found exploring her new home of Waterloo Region with her fiancé, attempting yoga with her cat, or enjoying time on Georgian Bay with her family.